Below you can view all the homes for sale in the Cody Park subdivision located in Golden Colorado. 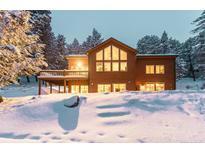 Listings in Cody Park are updated daily from data we receive from the Denver multiple listing service. To learn more about any of these homes or to receive custom notifications when a new property is listed for sale in Cody Park, give us a call at 720-580-6937. Mother-in-law quarters with full kitchen in the lower level with walkout access. MLS#5441842. WELCOME HOME REAL ESTATE LLC. 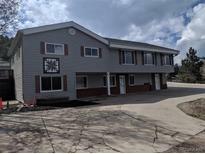 Don't miss this great opportunity in scenic Golden Colorado! MLS#4461234. RE/MAX Professionals. Don't miss the 400 sf bonus room over the garage that is perfect for a home office, exercise room, studio or game room! MLS#6003982. LIV Sotheby's International Realty.